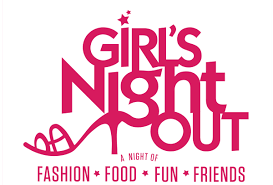 This entry was posted on August 5, 2015, in Upcoming Events and tagged church family, church friends, faith, fellowship, first presbyterian church, food, Fun, girls night out, members, presbyterian women. 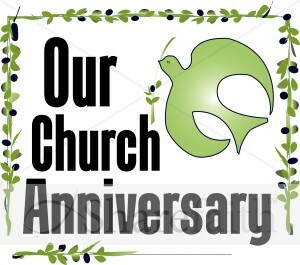 The First Presbyterian Church of Levittown is celebrating our 65th anniversary this year! 65th ANNIVERSARY with a Spaghetti Dinner. Sunday, January 25, 2015 from 1:00 to 4:00p.m. Members, Friends and the Community are invited to celebrate our Anniversary! We hope you can join us to Meet God & Friends Here! This entry was posted on December 5, 2014, in Upcoming Events and tagged 65th. Anniversary, anniversary, bible study, Church, church anniversary, community, congregation, faith, first presbyterian church, followers, friends, jesus christ, Levittown, members, Presbyterian, Strong, worship. If you would like to be a vendor at our event, please contact the Church office at 516-731-3808. Our Preschool is holding an open house. Join Elsa and Anna for a Meet & Greet, along with Tumbling Tots. The Preschool is also showcasing their new Start Me Up Program. The program is geared for Walking Toddlers to age 2/12. This entry was posted on October 22, 2014, in Upcoming Events and tagged anna & elsa, boutique, carolers, christmas, christmas season, crafts, first presbyterian church, gifts, holiday, holiday boutique, holiday shopping, holidays, jewlery, presents, santa, santa clause, shopping, vendors. Blood Drive, Wednesday, October 1st. from 2:00 to 8:00p.m. We need Volunteers to run the blood drive and to donate blood. If you can HELP OUT with the Blood Drive, please contact the Church office at 516-731-3808 via email: levitfpc@optonline.net or contact Anita Simendinger. You give the gift of life with your blood donation. One donation can help save up to THREE LIVES. Our community hospitals need our help. Please share in this lifesaving gift. Thank you for caring. This entry was posted on September 5, 2014, in Upcoming Events and tagged BLOOD, BLOOD DRIVE, community service, donation, donor, first presbyterian church, give the gift of life, levittown ny, LIFE, long island blodd services, SAVE A LIFE. Church School – Sunday, September 21st. 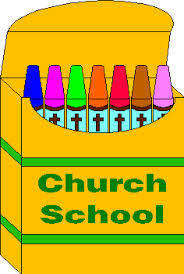 Church School is back in session starting Sunday, September 21st. at 10:00 a.m. To celebrate National Back to Church Sunday FPC will host Rally Day, a mini carnival, for the children of the church, members and the congregation at 12:00 p.m. on our front lawn. This entry was posted on August 28, 2014, in Our Church School and tagged children, church school, faith, families, first presbyterian church, Fun, God, jesus christ, Levittown, Presbyterian, religion, religious instruction, teaching. The song “Count Your Blessings” is a favorite childhood hymn. The first verse says, “When upon life’s billows you are tempest tossed, when you are discouraged thinking all is lost, count your many blessings name them one by one and it will surprise you what the Lord has done.” When I was young I had no idea what it meant to be tempest tossed but I knew it was something that was so terrible that it made you want to count every good thing that ever happened in your life. The world is a scary place and bad things happen to good people. When we get hurt or disappointed it causes us to look at the world through dark sunglasses. Our outlook on becomes dim. It is only those with a commitment to looking at life with a sense of thankfulness (not necessarily through rose colored glasses) and gratitude, can see the world in a different light. There is a quote from Meister Eckhart which says, “If the only prayer you ever say in your entire life is thank you that will be enough.” For most of us “thank you” probably won’t be our entire prayer, but we should spend time in prayer thanking God for what we have rather than always asking for help. If we want to grow strong in our faith, we must begin by having a heart of gratitude. So how do we learn to count our blessings amidst the regular challenge and turmoil of our lives? We must develop an attitude of gratitude that sees the glass half full rather than half empty. This way of thinking or looking at things helps us to change our perception. With these songs in mind I challenge all of us to count our blessings and to look at our lives through a different lens. What do you see when you look at our church? Do you see a church in despair? Do you see what I see, the church triumphant, and the church of Jesus Christ? I see a church that continues to come together for worship through difficult and changing times. I see a church that is still willing to try and is still holding open its doors for whoever wants to come in. I see a church that is still giving, still loving each other and still singing songs of praise to God in the midst of uncertainty. We are a blessed congregation and blessed people! Collectively we have more wealth than most people in many parts of the world. Our church doors are still open and we are still worshipping together in the same building. Unfortunately, many of our Christian brothers and sisters cannot say the same. The First Presbyterian Church of Levittown is celebrating its 65th anniversary this year! As we approach this milestone in our congregation, I ask that you count the many l blessings that you have experienced in this church. When you finish counting your blessings take time to thank God for the wonderful memories and moments where you met God and friends here. Then ask God to open your eyes and to help you see this worshipping community in a different light. Ask God to give you a renewed faith and a restored hope that this church will be around for at least another 65 years. I am asking all who love and care about this church to attend our 65th anniversary spaghetti dinner on November 2nd from 4 – 8pm. We are inviting the community to come celebrate with us. I am also asking all who are able and willing to donate a love offering of $65 in honor of our church that the work of Christ may continue. We have been blessed by the labor of love of those who have gone before us. Now, it is now our turn to continue the legacy by giving of our time and talent to maintain this wonderful faith community for the next generation. This entry was posted on August 28, 2014, in Archived and tagged Church, congregation, daily worship, first presbyterian church, followers, jesus christ, Leader, Levittown, members, message, Pastor, reverend, Thoughts, worship. Clothing Drive for the United Veterans from September 20th. to October 26th. From September 20th. through October 26th. Your Donations are Desperately Needed!! Please leave your donation in the hallway by the Church Office. This entry was posted on August 27, 2014, in Upcoming Events and tagged charity, clean out your closet, clothing drive, donate, donation, first presbyterian church, give, help, people in need, veterans.